This is the seventh part of our eight part series on defective pricing. In our final part on Monday, we will add links to all of the previous parts for ease of reference. Today we will address some of the defenses that are available to contractors facing a defective pricing allegation. These are not going to exonerate contractors who have not been fastidious in submitting current, complete, and accurate cost or pricing data. However, there has been considerable litigation in the defective priciing arena becasue, in part, the Government fails to make its case by satisfying the six elements that need to be present in order to sustain a defective pricing allegation. If you are a contractor facing a defective pricing allegation, you will most certainly want to defend yourself to the extent you can. There are a number of defenses that have been successfully raised and adjudicated. There are also a number of defenses raised that have been unsuccessful. First we’ll discuss some successful defenses. The information at issue was not cost or pricing data. Recall from our earlier posting that “cost or pricing data” is tightly defined in the FARs. Cost or pricing data means all facts that as of the date of price agreement prudent buyers and sellers would reasonably expect to affect price negotiations significantly. Cost or pricing data are factual, not judgmental; and are verifiable. While they do not indicate the accuracy of the prospective future costs or projections, they do include the data forming the basis for that judgment. Cost or pricing data are more than historical accounting data; they are all the facts that can be reasonably expected to contribute to the soundness of estimates of future costs and to the validity of determinations of costs already incurred. Within this definition, there could be any number of defenses. Perhaps the information in question was not factual. Perhaps it was such that it would not have affected price negotiations significantly. Perhaps the information in question would not have contributed to the soundness of estimates of future costs. And on and on. The government did not rely on the defective data. One of the five elements necessary for the Government to sustain an allegation of defective pricing is that the Government relied on the defective data. In order to determine whether the Government relied or did not rely on the defective data, requires access to the Government’s record of negotiation (usually referred to as a Price Negotiation Memorandum or PNM) and any other correspondence you can compile. Just because data was furnished, does not necessarily follow that the Government relied on it. The price offered by the contractor was a “floor” below which the contractor would not have gone. This, in our mind, would be difficult to sustain. There are situations where a contractor will offer a price and refuse to go below it. Even under those circumstances, the contracting officer must still ensure that a price is fair and reasonable. If he/she accepts that bottom line price, he/she has determined that the price is fair and reasonable. If the contracting officer had known the data was defective, he/she might not have been able to make that determination. The contractor or subcontractor was a sole source supplier or otherwise was in a superior bargaining position. The contract price was based on total cost and there was no agreement about the cost of each item procured under the contract. The contractor did not submit a Certificate of Current, Complete, and Accurate Cost or Pricing Data. The law requires contractors to furnish all cost or pricing data up until the date of agreement on price. The mere absence of a “certification” does not render the statutory requirement moot. This is our sixth of an eight part series on defective pricing - the failure of a contractor to submit current, complete, and accurate cost or pricing data. Refer back to yesterday's post for links to the other parts of this series. Today, we will discuss remedies available to the Government whenever significant defective pricing is discovered. The Government can reduce the contract price if the government discovers that a contractor, or prospective subcontractor, or actual subcontractor submitted defective cost or pricing data. There are two contract clauses that allow for this and are found in all negotiated contracts, one for basic contracts and the other for contract modifications (see FAR 52-215-10 and -11). Even if these clauses were somehow omitted, the courts and boards would probably “read them” into the contract based on the Christian Doctrine because they are statutorily required. The Government can reduce the contract price by any significant amount by which the contract price was increased because of the defective cost or pricing data. The Government can also add profit or fee to the price reduction. The term “significant” amount is somewhat subjective. There was a Board case where $15 thousand was determined to be significant (Kaiser). At some point, the cost of pursuing a defective pricing case will exceed the potential recovery and the Government will not pursue those. The Government can recover interest on any overpayments it made because of the defective cost or pricing data. In order to calculate interest, the Government must first determine the date that the overpayment was made. In the case of a direct cost, this might not be too difficult. However, if an indirect rate was defectively priced, the overpayment occurs every time the contractor submits a claim for reimbursement (e.g. public voucher or progress payment). If a subcontractor submits defective cost or pricing data to the prime, the Government can recover from the prime contractor to the extent that the defective subcontractor data increased the prime contract price. In practice, this is difficult to apply. If the prime contractor uses defective subcontractor data, but subcontracts with a lower priced subcontractor (or fails to subcontract at all), the government can only reduce the prime contract price by the difference between the subcontract price the prime contractor used to price the contract and the actual subcontract price if the contractor subcontracted with a lower priced subcontractor or the contractors actual cost if the contractor failed to subcontract the work. One final cautionary note. The Government can collect penalty amounts where the contractor or subcontractor knowingly submitted defective cost or pricing data. This penalty is equal to the amount of the overpayment. On each and every defective pricing audit that DCAA conducts, it also makes an assessment as to the likelihood that the contractor “knowingly” submitted defective cost or pricing data. This is our fifth posting in a series on defective pricing. If you missed any of the previous ones, you can find them through these quick links. Sometimes contractors think that their duty to furnish current, complete, and accurate cost or pricing data ends with the submission of their proposal to the Government; that any data received after that date is not relevant to the negotiating process. The law (PL 87-653) however states that contractors are obligated to disclose data in existence as of the date of price agreement. The interval between the proposal submission and agreement on price, as every Government contractor knows is significant. It is not uncommon for several months to elapse between these two events. Contractors have a statutory requirement to continuously update the data in its proposal. Many companies have been found to have violated the Truth in Negotiations Act because of factual data that arrived after proposal submission was not submitted to the Government. A contractor's duty to provide updated cost or pricing data is not limited to the personal knowledge of its negotiators. Data within the contractor's organization are considered readily available. Therefore, it is incumbent upon contractors to establish internal policies and procedures to ensure that cost or pricing data "gets" to the negotiator. Many companies accomplish this through a "sweep" process. Near the time of price agreement, a contractor will conduct internal "sweeps" of cost or pricing data to ensure it meets its disclosure requirements. When updating cost or pricing data at negotiations, the contracting officer will request a written statement from the contractor summarizing the impact of the additional data. Contractor's cannot simply provide the data and make the contracting officer figure out what it means. If the data has a significant impact on negotiations, the contracting officer will reduce the tentative price. Whether the data is significant or not, the contracting officer will list the updated data in his/her price negotiation memorandum and identify the extent to which it was relied upon in establishing a fair and reasonable contract price. The following comments were excerpted from written testimony before yesterday's hearing by the Commission on Wartime Contracting In Iraq and Afghanistan. That hearing focused on subcontracting risks in war zones. This excerpt underscores the importance of three interrrelated business systems (purchasing, estimating, and billing) and the necessity of making certain that those systems are adequate in order to effectively manage subcontract costs. Although it was presented in the context of contracting in Iraq, Afghanistan, and Kuwait, it applies equally to all Government contractors. FAR 42.202(e)(2) clearly states that it is the prime contractor’s responsibility to manage its subcontractors. Prime contractors generally rely on their estimating, purchasing and billing systems as a means to manage their subcontracts. As noted in the Commission’s interim report (June 2009), adequate contractor business systems are the first line of defense against waste, fraud and abuse. In the realm of subcontracting, we find this statement to be profoundly true. All DoD prime contractors are responsible for having an acceptable estimating system that consistently produce well-supported proposals acceptable as a basis for negotiation of fair and reasonable prices (DFARS 215.407-5-70(b)). One key characteristic of an adequate estimating system is one which addresses the prime contractor’s responsibility for determining, through review and analysis, the reasonableness of proposed subcontract prices (DFARS 215.407-5-70(d)(2)(xv)). The proposal phase of a contract award involves the prime contractor’s estimating and purchasing systems working together to prepare an adequate estimate of cost or price. Generally, purchasing system processes identify responsible prospective subcontractors and vendors from which subcontract proposals are obtained. The estimating and purchasing systems work in conjunction to conduct and document analyses of the subcontractor proposals to ensure the awarded subcontract price is fair and reasonable (represents the best value for the Government), regardless of whether the contemplated subcontract is sole-source, competitively awarded, or for a commercial item. After contract award, the contractors billing system works in conjunction with the purchasing system to ensure only those subcontract costs which are eligible for payment (that is, allocable, allowable, reasonable, and in accordance with contract terms and conditions) are included in the prime contractor’s billings to the Government. We are continuing our series on Defective Pricing today. Last week, we discussed the responsibilities of contractors to furnish current, complete, and accurate cost or pricing data, the five things the Government must show in order to sustain a contract price adjustment if the contractor did not disclose all the facts, and the importance in distinguishing between factual matters and judgment. Facts must be disclosed, judgment does not necessarily need to be disclosed, but sometimes,information mixes facts with judgment. Today we will discuss the the meaning of the term "submitted" in the context of the five elements of defective pricing. Recall from Wednesday's post that the third element the Government must show is that accurate, complete, and current data were not submitted or disclosed to the contracting officer or one of the authorized representatives of the contracting officer and that these individuals did not have actual knowledge of such data or its significance to the proposal. Contractors have an affirmative duty to submit current, complete, and accurate cost or pricing data. Contractors must generally submit cost or pricing data to the contracting officer or the contracting officer's authorized representative. Often times, the boards and courts will look at whether the person to whom the disclosure was made participated in the negotiation of the contract. In one case, it was held that disclosure to the auditor was not sufficient where the auditor was not involved in the negotiation (Singer). On the other hand, it was once held that disclosure to the auditor based on established practice was sufficient disclosure though the auditor did not participate in negotiation (Litton). The difference here is that the second example was based on "established practice" and it was presumed that the auditor would forward the information to the negotiators. The ACOs are similar to the auditors when it comes to adequately submitting cost or pricing data - sometimes submission to an ACO is adequate, sometimes not. In one case it was held that disclosure to the ACO was not sufficient where the ACO had no connection to the negotiation and the contractor did not ask the ACO to forward the data to the PCO (Sylvania). On the other hand, it was held that disclosure to the ACO was sufficient where the ACO knew that the contract was being negotiated (TI). Contractors should not presume that submission to auditors or ACOs is the same as submission to the PCO or negotiator. Be cautious and copy the negotiator on all cost or pricing data furnished to other parties. Cost or pricing data must also be "adequately" submitted. A contractor can meet its obligation if it physically provides the data to the Government and also (this is important) discloses the significance of the data to the negotiating process. The contractor must advise Government representatives of the kind and content of the data and their bearing on the prospective proposal. Merely making records available to the Government may or may not be adequate. Knowledge by the other party of the data's existence is no defense to a failure to provide data. We are going to take a break from our series on defective pricing but we will get back to that subject next week. There are a few other important points we need to cover. Today though, we want to use a recent press release from the Department of Justice to illustrate the importance of strong internal controls over timekeeping and labor charging practices. Unfortunately, the press release is bereft of details and our calls to DOJ's press line for more information have not yet been returned. Nevertheless, the information that has been published is certainly worth reporting. On Tuesday of this week, a woman, working on a cost-reimbursable subcontract under a cost-reimbursable prime contract with the National Security Agency, pleaded guilty to making false statements arising from the number of hours she claimed she claimed she worked. She falsely claimed she worked 752 hours during a two-year period and as a result, was overpaid by $81,859 (that would work out to almost $109 per hour, an amount that seems rather high for delivering documents. Perhaps the $82 thousand included fringe benefits, overhead, and profit). NSA contracted with The Titan Corporation to obtain document delivery services. Titan in turn contracted with Dragon Development Company to work on the services contract. Dragon was acquired by CACI International, Inc. In November 2007 and CACI assumed responsibility for the performance of the services contract. The employee worked full time for Dragon and CACI, exclusively on the services contract. From approximately January 30, 2006 to December 28, 2007, Mitchell submitted timesheets to Dragon and CACI falsely claiming that she had worked 752 hours more than she had actually worked on the Services Contract. Mitchell represented in some of the timesheets that on 24 days she worked an average of eight hours, when in fact, she did not work at all on those days. As Titan invoiced NSA for the hours that Mitchell falsely claimed to have worked on the services contract, NSA paid Dragon and CACI for those hours. The overpayment for Mitchell’s unworked hours was approximately $81,859. We don't know how this fraud was uncovered. The fact that the subcontractor was not implicated in the matter suggests to us that the subcontractor uncovered the fraud and reported it to the Government (e.g. the Inspector General's office). But it could have been from a number of sources including a whistle-blower or a hotline tip. Internal controls are important and internal controls over timekeeping are absolutely critical in order to ensure the propriety of labor costs charged to Government contracts. Companies with dispersed workforces are especially vulnerable to this kind of fraud. Companies place a good deal of trust in employees working at alternate worksites (including working at home). Companies with lax management control and oversight are equally at risk. Contractors should be assessing their risks and vulnerabilities in this area and decide whether the existing controls are satisfactory for protecting the company's interests as well as the Government's interests. Once those controls are in place, it is also necessary to test through internal reviews whether those controls are working as designed. This is the third in our short series on defective pricing. You can read the first two parts here and here. So far we have covered the definition of "cost or pricing data" the statutory requirement for contractors to furnish current, complete, and accurate cost or pricing data and the Government's burden of proof in establishing the existence of defective pricing. The definition of cost or pricing data includes a requirement that cost or pricing data be factual data rather than judgmental data. The distinction between facts and judgment is often difficult to make but the ASBCA (Armed Services Board of Contract Appeals) has helped clarify some of the issues involved. Did management actually make a decision? Was the management decision made by a person or group with the authority to approve or disapprove actions affecting costs? Did the management decision require some sort of action affecting the relevant cost element, or was the decision more along the lines of preliminary planning for possible future action? Is there a substantial relationship between the management decision and the relevant cost element? Is the management decision the type of decision that prudent buyers and sellers would reasonably expect to affect price negotiations significantly? Estimated resources to attain business goals. Where you have information that includes facts and judgment, its a good idea to disclose it, even if there is doubt that it would significantly impact the contract price. It is easier to disclose and include your assessment as to the potential impact up front, than to fend off the discovery of the information after the fact, such as during a defective pricing audit. If you disclose the information and allow the contracting officer the choice to use or not use the information when negotiating the contract, it could never be the basis for a contract price reduction because it was "disclosed". Yesterday we began a series of posts on defective pricing or TINA (truth in negotiations act). Every negotiated procurement over $650 thousand requires certified cost or pricing data. Contractors (and subcontractors) that fail to disclose current, complete, and accurate cost or pricing data will have to pay back the amount that the contract was increased as a result of its failure. Additionally, the contractor is subject to interest on the overpayment and possibly face some kind of investigation (more on that last point later this week). In order for the Government to prevail in a defective pricing audit, it must prove five things. The information in question fits the definition of cost or pricing data. We defined "cost or pricing data" in yesterday's post. It can also be found in the definitions section of FAR (FAR 2.101). Accurate, complete, and current data existed and were reasonably available to contractor before the agreement on price. Accurate, complete, and current data were not submitted or disclosed to the contracting officer or one of the authorized representatives of the contracting officer and that these individuals did not have actual knowledge of such data or its significance to the proposal. The Government relied on the defective data in negotiating with the contractor. The Government's reliance on the defective data caused an increase in the contract price. This last point is not all that difficult based on the "theory of natural and probably consequences" which provides that the natural and probable consequences of defective pricing is an increase in the contract price. Establishing these five points is a necessary prerequisite to achieve price reductions to contracts. Tomorrow we will examine some of the intricacies of these five points. Contracting Officers are required to determine price reasonableness before making a contract award. There are a variety of methods provided for in the Federal Acquisition Regulations (FAR) for contracting officers to determine reasonableness; competition, cost or pricing data, or information other than cost or pricing data. Historically, cost or pricing data is the most-used basis for establishing price reasonableness although current FAR guidance states that it is to be used as a last resort. The procurement of major weapons systems do not lend them to competitive pricing so the requirement for and use of cost or pricing data to negotiate prices is still prevalent. Defective cost or pricing data is that data which is subsequently discovered to have been inaccurate, incomplete, or non current. Under the Truth-in-Negotiation Act (TINA) and contract price reduction clauses, the government is entitled to an adjustment in the contract price, to include profit or fee, when it relied on defective cost or pricing data. Subsequent to award of a negotiated contract under which a contractor submitted cost or pricing data, the government has audit rights to the books and records. The Contracting Agency (and by extension, DCAA) has audit rights, the GAO (Comptroller General) has audit rights, and the Inspector General has audit rights. All of these agencies at one time or another, have initiated audits of compliance with TINA (aka defective pricing audits) although only DCAA has a regular and systematic plan for performing such reviews. Over the next few days, we will be digging deeper into certain aspects of defective pricing. We will discuss the five elements that the Government must prove in order to sustain a defective pricing allegation. We will discuss the nature of offsets where contractors found in noncompliance with TINA can mitigate some or all of the impact. And we will draw a distinction between facts which are cost or pricing data and judgment which is not cost or pricing data. We have written in the past about the requirements for contractors to have written codes of business ethics and conduct, to maintain an ongoing ethics awareness and compliance program and to implement related internal control systems. Generally, these requirements apply to contracts over $5 million with a performance period longer than 4 months (FAR 52.203-13). For contractors under this threshold, there is a requirement to display hotline posters (FAR 52.203-14). 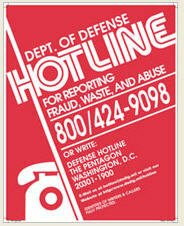 Hotline posters provide a confidential '800' number for company employees to report fraud, waste, and abuse. It's probably a good idea for contractors above the threshold to display the poster as well. The hotline poster could be part of the ongoing ethics awareness and compliance program. The contracting officer is required to insert the source for the hotline poster in the contract clause. Most agencies have their own poster. The DoD hotline poster can be ordered or downloaded here. If the "source" is left blank in your contract(s), you should contact your contracting officer for specific sources. The contract clause also requires that contractors display an electronic version of the hotline poster on the company website if one is maintained for providing information to employees. Auditors will not schedule a specific audit to test for compliance. But, as part of another review (e.g. labor floorcheck, proposal evaluation, incurred cost audit, voucher review) will check for compliance with this contract requirement. Failure to comply could factor into the auditors' overall risk assessment and increase the level of audit activity. Earlier this week we reported on a couple of new reporting requirements that will have a significant impact on the contracting community, particularly the one that, effective immediately, will require prime contractors to report the award of every subcontract over $25,000. This requirement applies to contracts over $20 million but this threshold drops to $550 thousand on October 1st and to $25 thousand on March 1, 2011. Prime contractors must report data about their subcontract awards at the FFATA (Federal Funding Accountability and Transparency Act) Subaward Reporting System (FSRS). 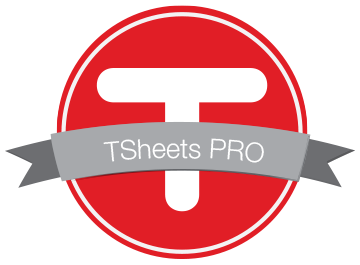 That site has user guides, a webinar, and frequently asked questions to assist contractors in fulfilling their reporting requirements. On July 15th, the Department of Defense issued guidance to its acquisition community concerning the deployment of this new system. The key point of the memorandum is this, contracting officers must complete a contract action report in the Federal Procurement Data System (FPDS) before contractors can add subcontractor information in the FSRS. The FPDS pre-populates many fields in the FSRS. Contracting Officers have only 3 days to complete their FPDS contract action report (FAR 4.6). If contractors encounter any issues with pre-populated information, the FSRS help desk will simply refer contractors back to their contracting officers. If the contracting officer has entered incorrect data or omitted data in some fields, the contractor cannot correct it. Only the contracting officer can make the corrections. Agencies will be required to conduct reviews of the prime contractors' reports. It is not clear at this time the intended scope of these reviews or their frequency. Although not specifically addressed, it is reasonable to expect that Government audit organizations (such as DCAA) will use the publicly available FSRS to assist it in their audit activities. You can read the DoD guidance memo here. There are many situations where contractors will team together in a prime contractor/subcontractor relationship to pursue a particular contract. According to FAR , the prime contractor is responsible for ensuring that the subcontract prices are fair and reasonable or in the case of incurred costs, are allowable, allocable, and reasonable. This creates a certain conflict when the two parties are also competitors. Subcontractors who are also competitors, are necessarily reluctant to open up their books and records to their Prime partner for fear of revealing proprietary or sensitive information that could benefit the Prime in some future competition. There is no FAR clause that permits subcontractors to deny access by a prime contractor to its books and records. A subcontractor is required to demonstrate its compliance with CAS and FAR in accordance with the applicable flow-down contract clauses. If a subcontractor denies its prime contractor access to the it's books and records, the prime contractor will have to request assistance from the contracting officer to ensure the subcontractor's compliance with CAS and FAR. As a practical matter, the contracting officer will require that the basis for the denial be adequately supported and justified. Any claim that is frivolous or without merit could jeopardize the award of a contract. The contracting officer is very sensitive to situations where prime contractors will encourage their prospective subcontractors to deny access so that the prime does not have to incur the expense of doing it themselves. FAR 15.404-3 states that the prime contractor shall conduct appropriate price or cost analyses to establish the reasonableness of proposed subcontract prices. DFARS PGI 215.404-3 provides that if a prime contractor is unable to complete its required price or cost analyses of a subcontractor's proposal because the prime contractor has been denied access to the subcontractor's records, then the prime contractor may request assistance from the contracting officer to analyze and evaluate the subcontractor's proposal. FAR 52.215-2, Audits and Records, provides the contracting officer access to the contractor's books and records to determine if the records support the costs claimed and to evaluate any cost or pricing data that has been submitted. Paragraph (g) of this FAR contract clause requires the prime contractor to insert the terms of this FAR clause in all flexibly-priced subcontracts that exceed the simplified acquisition threshold for which cost or pricing data are required. Accordingly, the contracting officer and his authorized representative have access to the subcontractor's book and records. There are a few firms out there that offer services on a contingency basis. For example, we learned of a firm that offers to help contractors obtain Government contracts for a fee that is contingent upon the prospective contractor winning the particular bid. Avoid these offers. Paying contingent fees to secure a Government contract is prohibited by regulation and law. According to FAR 3.402, contractor arrangements to pay contingent fees for soliciting or obtaining Government contracts have long been considered contrary to public policy because such arrangements may lead to attempted or actual exercise of improper influence. In 10 USC 2306(b), Congress affirmed this public policy. Every negotiated contract requires a warranty by the contractor against contingent fees. FAR also provides that for breach or violation of the warranty by the contractor, the Government may annul the contract without liability or deduct from the contract price or consideration, or otherwise recover, the full amount of the contingent fee. And, it could get worse. When there is specific evidence or other reasonable basis to suspect a violation, the Government will investigate and if appropriate, take one or more of the following actions. If after award, enforce the Government's right to annul the contract or recover the fee. Initiate suspension or debarment action. Refer for criminal investigation by the Department of Justice. The Government has always considered consulting costs a high risk area and are likely to review those costs during an audit, especially during the annual incurred cost audit. They are especially attuned to consulting agreements that hint of contingencies. Yesterday we discussed one of the two main provisions of FAC (Federal Acquisition Circular) 2005-44 issued on July 8th, 2010 - the new requirement for prime Government contractors to report the awards of subcontracts. Today we will highlight the provisions of the Circular that require the disclosure of executive compensation information. Both of these provisions come from The Federal Funding Accountability and Transparency Act (FFATA) of 2008, a Law designed to empower American's with "... the ability to hold the government accountable for each spending decision. The end result is to reduce wasteful spending in the government". Who has to report? The executive compensation reporting requirement applies to contractors and subcontractors who, in their preceding fiscal year, received 80 percent or more of their annual gross revenues form Federal sources and those Federal revenues were more than $25 million, and the public does not already have access to the information (such as through SEC reporting requirements). What is compensation? Compensation includes salaries, bonuses, stock, stock options, stock appreciation rights, earnings for services under non-equity incentive plans, changes in pension values and above-market earnings on deferred compensation which is not tax qualified (see FAR 52.204-10(a)). Who are executives? Executives are officers, managing partners, or any other employee in management position. The regulation applies to the top five highest compensated executives. Where is the information reported? The information is reported at http://www.ccr.gov/. Does the requirement apply to subcontractors? Yes, first-tier subcontractors only. The Federal Funding Accountability and Transparency Act (FFATA) was signed on September 26, 2006. The Law was designed to empower American's with "... the ability to hold the government accountable for each spending decision. The end result is to reduce wasteful spending in the government". The FFATA legislation requires information on federal awards (federal financial assistance and expenditures) be made available to the public via a single, searchable (and free) website. Government procurement agencies have already been populating that website and there is considerable information available already. We don't imagine that most contractors would find the information too useful expecpt perhaps to figure out awards made to the competition. The website is http://www.usaspending.gov/. Now its the contractors' turn to begin populating the database. On July 8th, the FAR Councils published an interim rule requiring contractors to furnish (i) executive compensation data and (ii) information on first-tier subcontract awards over $25 thousand. Tomorrow we will discuss the specifc reporting requirements for executive compensation. In the meantime, you might want to become acquainted with the FSRS system. DCAA's New Director has a "New Vision"
We want to get to that one team where management and the workforce are pulling together in the same direction, Where auditors feel like they are making a difference, their work is adequately considered and has a positive impact on taxpayer dollars." The agency has hired 500 new auditors and will add 1,000 more by fiscal 2015, a 37 percent staffing increase. DCAA is planning to shed several low-priority services and place more emphasis on high-risk contracts. In fiscal 2008, the average time to complete a contractor pricing review was 28 days, compared with 72 days in fiscal 2010.
recorded costs of items or services purchased directly for the contract for which the contractor has paid by cash, check, or other form of actual payment (however, small businesses can claim these kinds of costs before they pay for them). properly allocable and allowable indirect costs. Contractors should develop policies and procedures to preclude billing for costs that do not meet the requirements of this clause. We have discussed Organizational Conflicts of Interest (OCIs) a few times. Sometimes contractors find themselves in situations where OCIs can give them an unfair advantage in bidding on contracts. OCIs include impaired objectivity, access to non-public information, and biased ground rules. If a contracting officer determines that an OCI exists, the contractor must develop an adequate and acceptable mitigation plan or choose not to bid on the solicitation in question. Refer to FAR 9.5 for the regulatory coverage of OCIs. There have been a few GAO decisions involving OCIs. A decision from last May helps illustrate the difficulty of successfully challenging an award on the basis that the winner had an unfair advantage. In this case, the Navy wanted to purchase some communications capabilities that included terminals on land and on ship plus satellite resources owned by a company called Intelsat. All of the bidders had to use the Intelsat systems for the satellite portion of the contract. Intelsat also bid on the contract and won. One company protested on the basis that Intelsat knew the price they had proposed to all of the competing bidders and that gave them an unfair advantage because it could price its bid accordingly. Well, that did seem a little unfair to us but the GAO ruled that the situation did not constitute an OCI as currently defined by the FAR regulations. Intelsat did not gain a competitive advantage based on its possession of proprietary information that was obtained from a Government official without proper authorization, or source selection information . . . that is relevant to the contract but is not available to all competitors, and such information would assist that contractor in obtaining the contract. The GAO concluded that negotiations between competitors do not give rise to an OCI, within the meaning of FAR part 9.5. A "Do Not Pay" List? The headline on this White House memorandum got our attention: Enhancing Payment Accuracy Through a "Do Not Pay List". The June 18th memorandum announces a new policy that is intended to prevent payments to deadbeats - individuals or entities that owe the Government money. Its not as draconian as it sounds, it simply requires that prior to payments, disbursing offices consult with a number of available Government databases to ensure that the payee doesn't owe the Government money from back taxes or other liabilities. "...where data available to agencies clearly shows that a potential recipient of a Federal payment is ineligible for it, subsequent payment to that recipient is unacceptable. We must ensure that such payments are not made. Federal agencies maintain many databases containing information of a recipient's eligibility to receive Federal benefits payments or Federal awards, such as grants and contracts. By checking these databases before making payments or awards, the Administration believes that agencies will be able to identify ineligible recipients and prevent improper payments from being made in the first place. Department of Health and Human Services' Office of Inspector General's List of Excluded Individuals/Entities. This network of databases, and additional databases so designated by the Director of the Office of Management and Budget (OMB) in consultation with agencies, shall be collectively known as the "Do Not Pay List." The remainder of the White House memo deals with timelines, coordination between agencies, and coming up with some best practices for implementation to disseminate to all Government Agencies. To read the entire memorandum, click here. Here's an interesting decision just handed down by the GAO. The Defense Logistics Agency (DLA) issued a contract solicitation for managing excess government property and for providing office support services at an Army Camp in Kuwait. Alalmiah Technology Group (ATG) submitted a proposal in response to the solicitation by email, sending the proposal in three separate messages. Two of those messages were received by DLA a few minutes before the deadline. The third message was received by DLA eleven minutes after the deadline. DLA dismissed ATG’s proposal as late. ATG appealed to the GAO on the basis that it had sent the third section at the deadline (10:00 a.m.) and it was transmission issues that caused it to arrive a bit late. GAO rejected the appeal based on the clear and unequivocal language of the solicitation that required it to arrive at 10:00 a.m. sharp. In GAO’s view, the primary cause of ATG’s late delivery of its electronic proposal was that it had delayed attempting to transmit its proposal until shortly before the time set for the receipt of proposals. An offeror is responsible for delivering its proposal to the proper place at the proper time and that includes a reasonable time for delivery. Eleven minutes and ATG lost out on a chance for a sizable government contract. GSA’s (General Services Administration) City Pairs program is a great deal for government employees traveling on official business, agencies, and taxpayers. The City Pairs program is a managed airline program that pairs sets of origins and destinations and leverages the buying power of the federal government to achieve significant savings. GSA claims to have saved the taxpayer $6.3 billion through this program. The program offers unrestricted air fares to government employees traveling on official government business at rates that average 68 percent less than full commercial air fares. Right now, thirteen air carriers participate in the program with more than 5,000 different paired cities including 1,400 international destinations. As an example, the unrestricted GSA fare between Seattle and Los Angeles is $79 one way. By comparison, the lowest fare we found on a quick Internet search was $138 and that one contained restrictions. The lowest unrestricted fare we found was $232 one way. So you can see, the GSA City Pair program does offer good pricing. So how do contractors avail themselves of this low-cost alternative? It seems logical, especially contractors who are operating under cost type contracts, that the taxpayer would be well-served if contractors could obtain the GSA pricing. And, we know of cases where contracting officers and auditors have limited airfare costs to GSA rates in pricing situations and one case where a contracting officer promised to wield influence to allow a contractor to utilize those rates. GSA recognizes that contractors often sit next to federal employees, work on the same projects as federal employees, and travel with federal employees. However, contractors are not federal employees. All of the major airlines have made it clear to GSA that because the contract rates are so low and the terms so favorable, the airlines would drop out of the City Pair Program (CPP) rather than extend the contract rates to contractors. GSA has made the business decision not to jeopardize the program nor the over $4.4 billion savings for taxpayers. GSA cautions agencies that the purchase of contract fare tickets on behalf of contractors is a misuse of the CPP and could jeopardize its future success. In addition, invitational travel orders or the agency's Centrally Billed Account (CBA) should not be issued or used to allow contractors access/use of Contract City Pair fares. The numbering sequence on the government charge card indicates official government employee travel. If a contractor's commercial fare is put on a CBA, the CBA identifies the traveler as eligible for Airline City Pair contract fares. When Should Contractors Revise their Provisional Billing Rates? Back in March, we posted comments on the requirements and expectations for establishing billing rates. You can read that post here. Since then, we have received a number of inquiries as to how often those rates need to be revised. In this post, we hope to answer that question. The requirements for establishing provisional billing rates (sometimes called interim billing rates) is found in FAR 42.704. FAR states that the contracting officer or auditor shall establish billing rates on the basis of information resulting from recent review, previous rate audits or experience, or similar reliable data or experience of other contracting activities. In establishing billing rates, the contracting officer or auditor should ensure the billing rates are as close as possible to the final indirect cost rates anticipated for the contractor's fiscal period. As a practical matter, it doesn't really work that way. The contracting officer or auditor rely on contractors to propose their own provisional billing rates and once submitted, will review the supporting data and estimating methodologies and either approve the proposed billing rates or make some adjustments. The goal in establishing billing rates is to approximate the year-end actuals as closely as possible. As the year progresses, and actual costs become known, estimates of final rates will become easier to determine. One element of an adequate billing system is a process to compare actual rates (or actuals plus estimates to complete) with provisional billing rates and adjust the provisional billing rates if the difference becomes too great. There is no limit to the number of times during the year for contractors to revise their billing rates. Circumstances change throughout the year and significant changes (like losing out on a significant bid) will impact rates. At the end of the fiscal year, the actual rates (less adjustments for potentially unallowable costs) will replace the provisional billing rates and both the contractor and the Government are even, in theory. There are no set criteria for determining when established billing rates need to be revised. We often advise clients to get serious about revising rates when it appears that rate trajectory will impact billings by plus or minus five percent. Some auditors see five percent as too high. Since at the end of the year, provisional rates are adjusted to actuals, the impact to the Government or to the contractor, depending upon whether the rates are too high or too low, is limited to the time value of money. We recommend that small contractors compare actual rates with approved billing rates on a quarterly basis at a minimum. Larger contractors should make those comparisons on a monthly basis.